The North State has a rich local history of cycling that starts in the 1880s and continues until today. 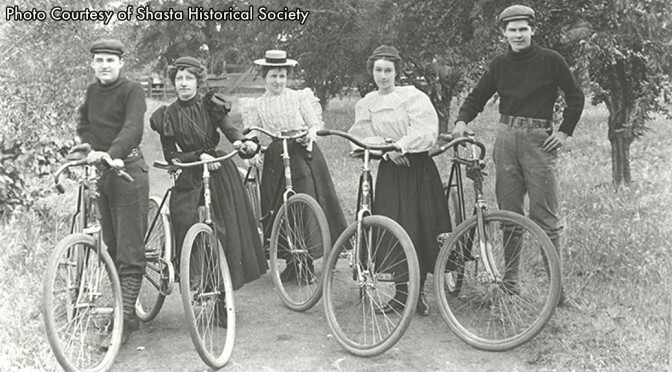 Research and photos from the turn of the century and since are being collected, curated and written about by Shasta Living Streets volunteers, in a collaborative effort with the Shasta Historical Society, the Shasta Wheelman and local bicycling shops. Visit the ongoing exhibit of cycling history at the Historical Society offices in the downtown Redding Promenade. Read the blog post by Susan Bissell. Here Local Cycling History. Request a presentation for your local group by Shasta Living Streets. Learn about the past – and the exciting future of cycling in our area and how you can get involved.